CLOSEOUTS. 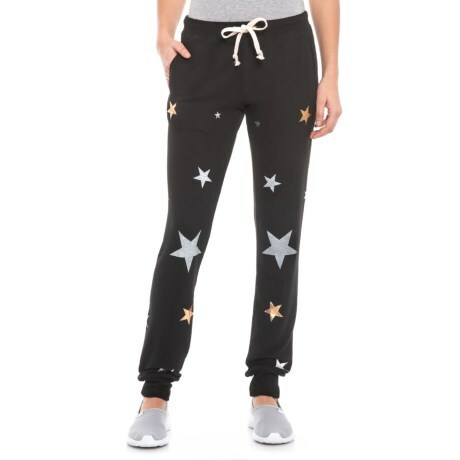 Tellurideand#39;s Black multi allover star joggers allow you to rest comfortably and stay warm in lightweight, stretchy fleece with sparkly foil stars all over for feminine style. Available Colors: BLACK. Sizes: S, M, L, XL.